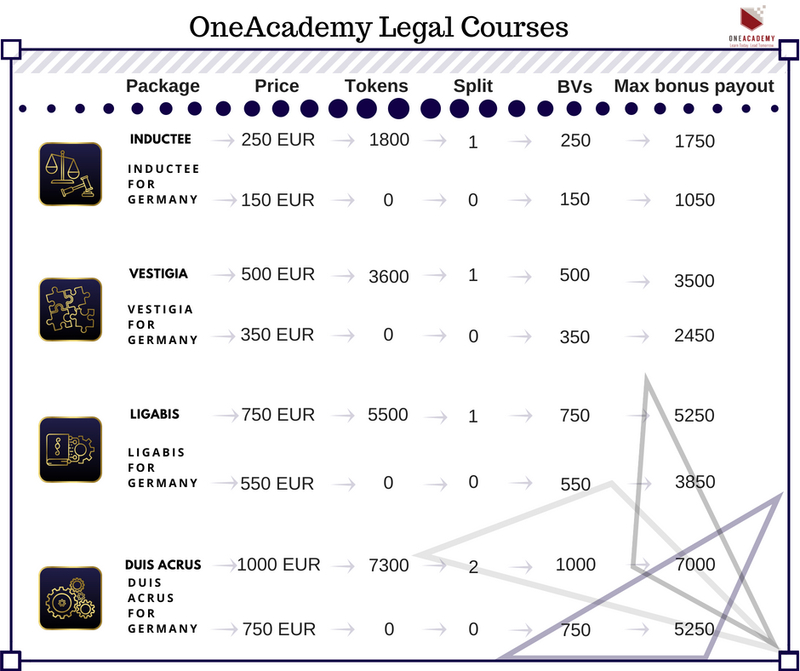 OneAcademy has recently introduced its new Legal packages which have sparked a huge interest months before being officially published! The new product has been developed not only as part of the concept of broadening the OneAcademy portfolio of products with the aim to meet the demand by its enormous base of people, eager to advance further with their education. It also has been engineered to help everybody who would like to dig deeper into the profound legal descriptions, specifics and market integration of the cryptocur-rencies. experienced law professionals in a comprehensive and easy-to-learn form, accessible to everyone. - Legal definition of cryptocurrency. - Cryptocurrency impact on the traditional market. Each level contains information about 6 different countries - Italy, Germany, Belgium, Bulgaria, Sweden and Norway, classified in-to sections. Furthermore, each of these countries offers a written handbook, an educational video and/or a presentation on each top-ic. !NB The new legal packages have AUTO MINING! 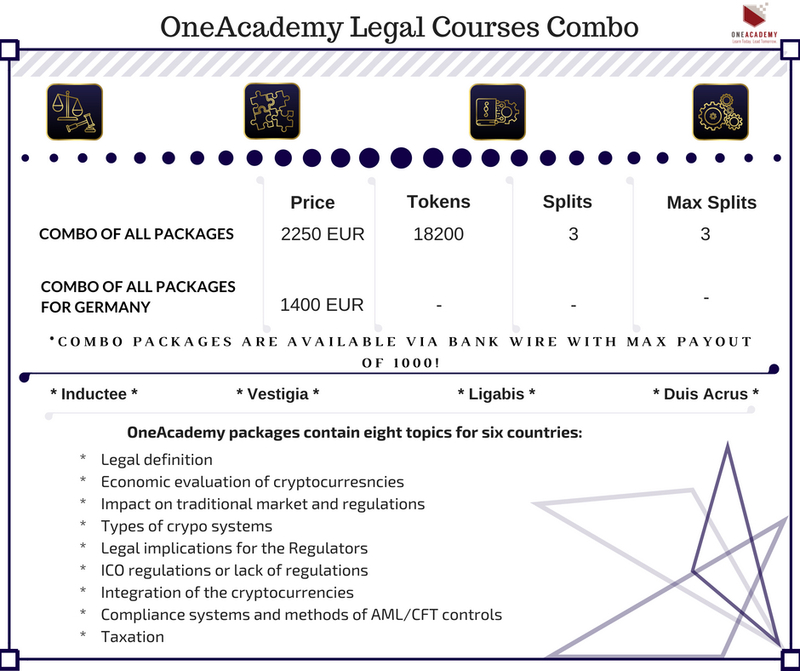 he new legal packages of OneAcademy are a priceless guide into the field of crypto legislation. Make sure you check them out in your back office ->Shop. Also, check out the figures below for even more details.